The emergent technologies of the Internet of Things (IoT) seem matures enough for realizing new solutions which allow to make houses and their spaces smart, therefore capable of progressively adapting to the user's necessities. 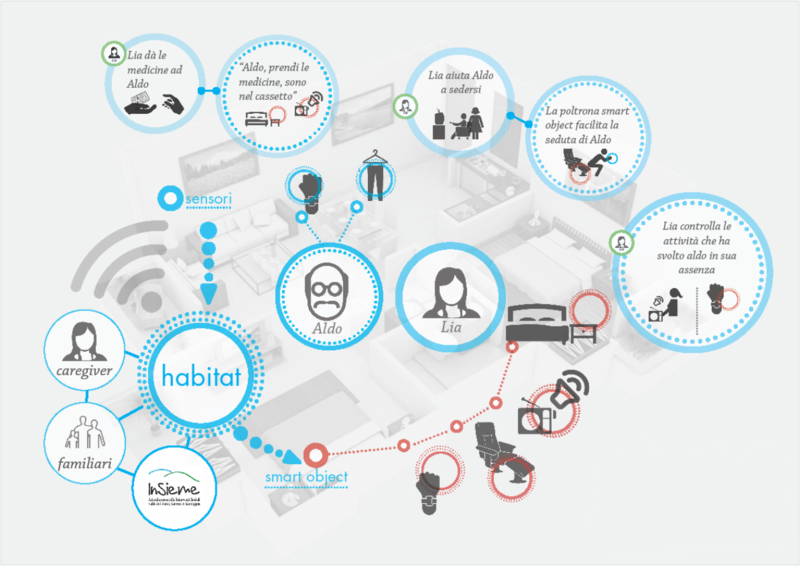 HABITAT, a project financed by Regione Emilia-Romagna POR FESR 2014-2020, intend to develop and experiment a platform based on IoT for the realization of assistive and reconfigurable spaces. For reaching this purpose, HABITAT intends to integrate the most advanced IoT technologies like: Radio Frequency Identification (RF-ID), wearable electronics, wireless sensor networks (WSN), artificial intelligence (AI). In fact, because these are low energy consumption, cooperating, non-invasive and easily distributable technologies they look to be extremely promising for reaching the HABITAT purpose. More specifically, the project wants to enrich daily life things (like radios, armchairs, clocks etc.) 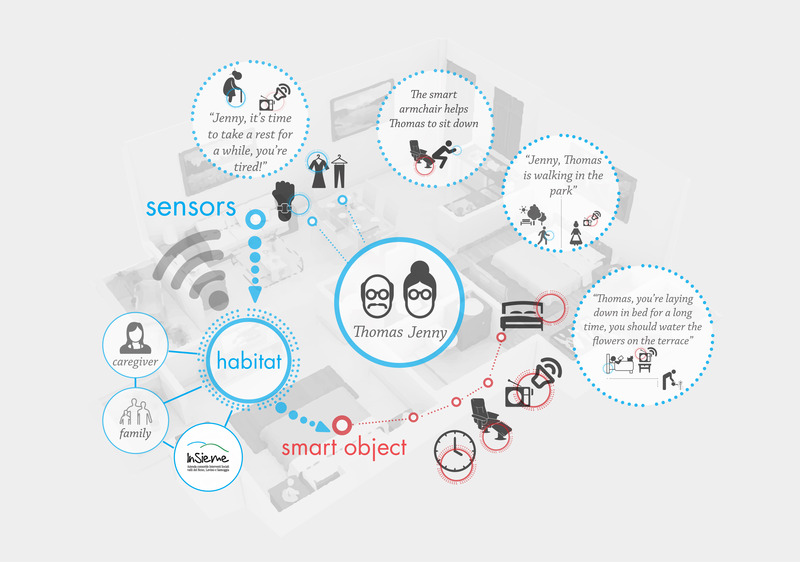 with distributed smartness elements, making them smart objects which can interoperate with each other, with the goal of realizing assistive life spaces, also in a long term situation. The technological solutions that will be integrated in HABITAT in fact have the purpose of assuring to assistance needy people the longest stay in their homes in safe conditions, helping them conducting autonomously most of the activities which are tied to the satisfaction of their primary needs. New types of furniture and new functions given to daily use things, controlled by a user comprehensible infrastructure, will give to the house capabilities of inclusion and socialization, sustaining actions focused on dehospitalization and on home-care. 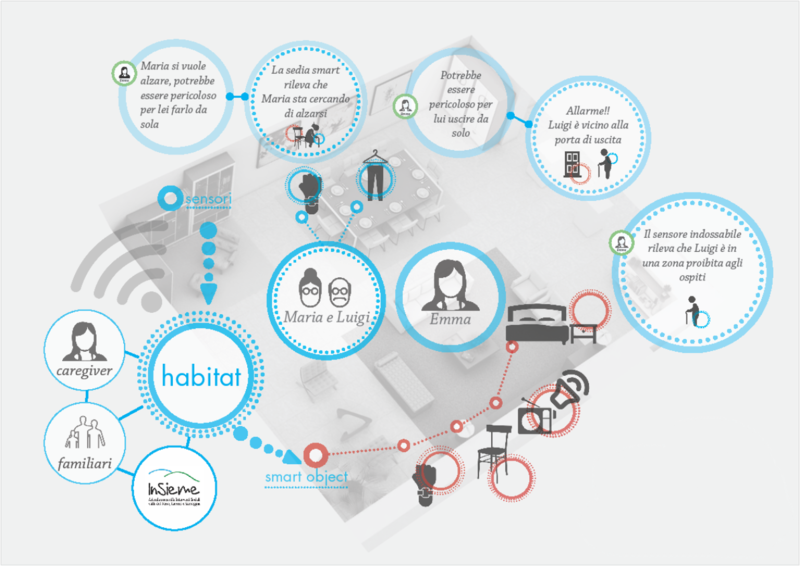 The HABITAT main purpose is to develop and test a platform based on the Internet of Things (IoT) which allow to realize assistive, reconfigurable home places and also capable to progressively adapt to the needs of their inhabitants. The purpose is realizing a transparent system which can monitor daily behaviors of people who, because of the age or because of illnesses, need special attentions in familiar residential places. The platform will have reconfigurability and interoperability features opened to different devices, allowing scalability and dynamic modifications of the platform itself. Another important purpose is realizing a natural interface, which can allow the platform functioning in complete absence of complex procedures. The decision techniques for activating the restitution or interaction peripherals will be managed by artificial intelligence methodologies. This purpose will be pursued transforming daily use objects in smart objects, enriching them with the smartness coming from the platform. 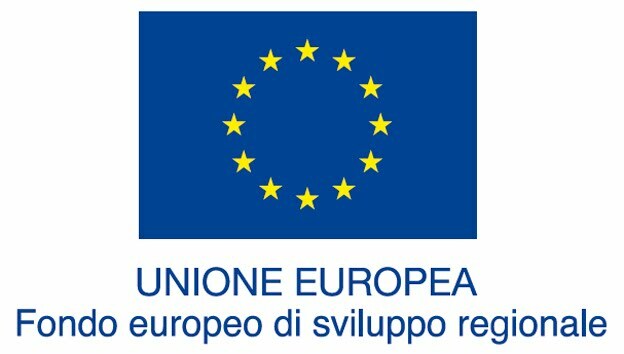 HABITAT will be realized by three laboratories from the Regione Emilia-Romagna High Technology Net (CIRI ICT, CIRI SDV, TekneHub) which will be occupied in the system technology design. Movement sensors systems based on inertial sensors which are wearable but not invasive. The inertial data will be collected and elaborated by an app developed on a mobile platform (smartphone or tablet), implementing a mobile health platform. Localization systems based on advanced UHF-RFID readers with high scan capacity, which data after being correctly elaborated will allow in real time to comprehend position and evaluate quality and quantity of the person movements. Actuators which can modify parameters of the ambient performances basing on the interpretation of data coming from the sensors, with a natural interface which can avoid the necessity of apprehending complex procedures. Inclusion of this equipments in daily use objects. ASC Insieme staff will accompany the project development giving the specs which the system will have to satisfy and will follow the final demo beta tests in domestic and community contexts. Other than the laboratories, six companies participate in the project. 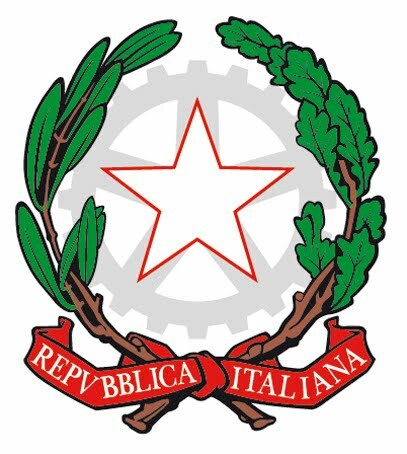 Every one of these have their headquarters in Emilia-Romagna and are heterogeneous both for their business dimensions and for the field in which they operate. More specifically, in collaboration with CTE International and Wiman, will be developed a smart and multifunctional radio which will include a collecting and elaboration unit, a Wi-Fi module which will guarantee the net connectivity and a restitution user friendly interface (via Tablet) with app developed ad hoc for managing the HABITAT platform. In an ERGOTEK armchair will be integrated a pressure sensor, a personal identification system based on RF-ID TAG and smart actuators for supporting the person lifting up. Moreover, with the collaboration of UNISET, MHT and U-Watch, the HABITAT platform will implement localization functions both outdoor and indoor and movement analysis functions for providing a qualitative and quantitative monitoring of the daily activities. The practicality of the final demo will be tested in real domestic and community spaces. For the realization of the Habitat platform the activities are organized in 6 realization objectives which are reported in the table below. With a click on each link it is possible to to see a more detailed version of them.